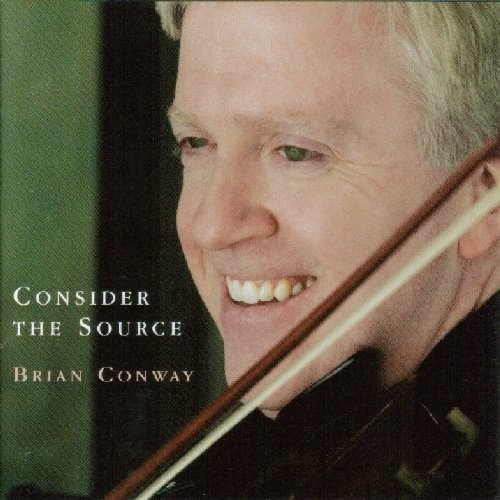 Brian Conway is considered the leading player in the Sligo/New York style of playing, and this, his second solo album, is described by Earle Hitchner in the introduction as "a striking document of his evolving virtuosity, musicality and the inspiration and pleasure that come from playing such a responsive instrument for the past six years." The instrument in question is a Degani violin purchased by Conway six years ago which he feels has had a huge influence on his playing. He also appreciates the development in his playing over the years: "I think my playing has gotten better with age. There's more fun and energy in my fiddling. I also have these excellent students, and working and playing with them has improved my techniques and made me examine more closely the structure of a tune and the relationship between bowing and phrasing." Earle Hitchner says of the playing: "Brian brings to his music an enviable equilibrium of style, substance, taste, imagination and deference to the past." This deference to the past is also reflected in the title of the album, a reference to both the importance of the source of the music and also the style of playing which originated, of course, in Co. Sligo and was brought across the Atlantic by such musical greats as Michael Coleman and James Morrison. The album includes a large selection of tunes as well as a slow air and two songs, sung by Dan Milner and Niamh Parsons respectively. Brian is accompanied on the album by Brendan Dolan, Joanie Madden, Billy McComiskey, Felix Dolan, John Nolan, Eamon O'Leary, Heather Martin Bixler, Gabe Donohue and Brad Albetta.